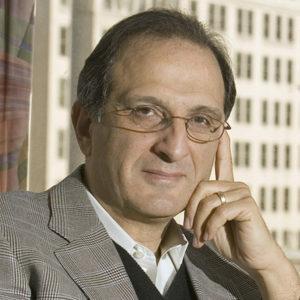 Dr. James J. Zogby co-founded the Arab American Institute in 1985 and continues to serve as its president. He is a member of the Executive Committee of the Democratic National Committee and was twice appointed by President Obama to the United States Commission on International Religious Freedom in 2013. In addition to writing a weekly column published in 12 countries, Zogby is the creator and host of the award-winning call-in political television show “Viewpoint,” and is frequently featured on national and international media as an expert on Middle East affairs. In 2010, Zogby published the highly-acclaimed book, Arab Voices. His 2013 e-book Looking at Iran: The Rise and Fall of Iran in Arab Public Opinion and “20 Years After Oslo” are drawn from his extensive polling across the Middle East with Zogby Research Services.